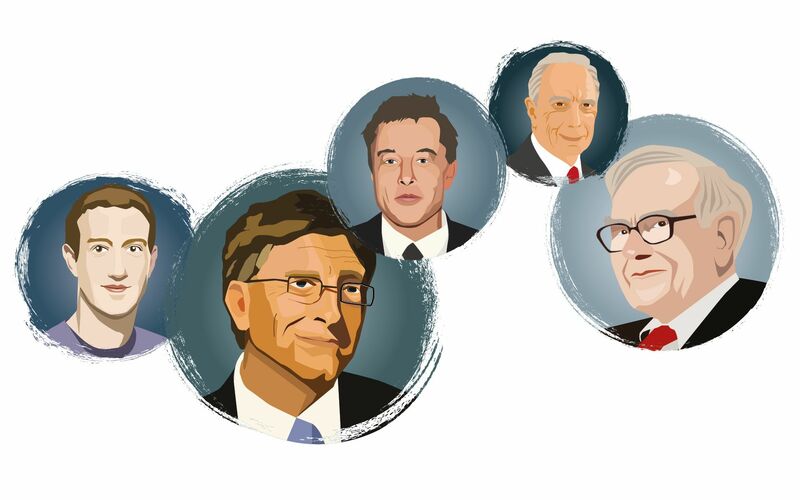 Some of the world’s richest people are turning their backs on charitable foundations that live forever. As billionaires get younger, the nature of philanthropy is changing. From Silicon Valley to Shenzhen, wealthy people who have achieved extraordinary success in a very short period of time sometimes have similar expectations for their charitable efforts. They want results and are willing to spend their wealth in their lifetime to achieve them. Microsoft founder Bill Gates, perhaps the world’s most famous rich person, has committed to do exactly this. Rather than ensuring his name will live on forever in the name of a worthy charity, Gates and his wife, Melinda, have created a foundation that will spend down their entire fortune within 20 years of their deaths. And they want others to do the same. Through their Giving Pledge, they have encouraged other wealthy individuals to make similarly big bets within their lifetimes through a promise to give more than half of their wealth to charitable causes. More than 150 individuals and families have taken the pledge so far, including billionaire investor Warren Buffett, Tesla’s Elon Musk, Facebook’s Mark Zuckerberg and Bloomberg founder Michael Bloomberg. This is not the typical model. Traditionally, philanthropists have taken the long view Some of the biggest charitable foundations in the world were established many decades ago by legendary tycoons who cared more about establishing a legacy. John D Rockefeller established his foundation in 1913 with the goal of “promoting the well-being of humanity throughout the world.” That’s not a project with an expiry date." “John D Rockefeller was very precise in not only defining our mission, but also being clear that this should always be our North Star,” according to Rajiv Shah, president of the Rockefeller Foundation. Other famous names such as Ford, Kellogg and Carnegie are all attached to multibillion-dollar foundations that are charged with managing their endowments to continue doing good work basically forever. And they are not the exception. A survey by the Foundation Center found that close to two-thirds of family foundations are explicitly set up in perpetuity, while most of the remainder are established without a defined end date. This type of long-term funding can be useful. It provides stability and certainty, which mean that the foundation can employ professional staff and develop considerable expertise while at the same time providing reliable support to charities and non- profits they work with. In turn, this means they can develop long-term strategies to achieve their goals. It can also provide the family with a shared cause over subsequent generations, which is an important goal for many wealthy benefactors. With Asia’s growing wealth, such foundations are increasingly common in this part of the world. In Hong Kong, Li Ka-shing’s foundation has been operating since 1980 and seeks “to inspire societal improvement through supporting education and healthcare initiatives,” and has been established to continue doing so long into the future. One of Li’s sons serves as its chairman. However, not everyone is convinced that this approach is the most effective way to make the world a better place. Many of today’s philanthropists want to see their wealth have the maximum impact possible rather than establish a legacy that endures for centuries. “You’re much more likely to make a difference by doing something big right now than dribbling the money out to the end of time,” said one trustee of the Atlantic Philanthropies, which was one of the first foundations to commit its entire endowment for a fixed period. Founded in 1982, Atlantic concluded all grant-making at the end of 2016 and will cease operations by 2020, enabling it to make large, concentrated investments that it hopes will produce significant and lasting benefits. Instead of creating a foundation to solve tomorrow’s problems, advocates of fixed-life philanthropy argue that philanthropists should focus on today’s problems. For example, climate change may have passed the point of no return within the lifetimes of people alive today. Saving money for future spending makes no sense when there may not be a future, reasoned John Hunting, an of office-furniture tycoon who founded a US$100 million 10-year fund in 1998. Some philanthropists also worry that while their money might last into perpetuity, their mission statement might not. Henry Ford’s son lost control of the board of the Ford Foundation and quit in 1977 after disagreements over its direction. It might be worth US$12 billion, but it no longer has any connection to the family. Such problems can be mitigated by careful and thoughtful drafting of a foundation’s mission, say philanthropy advisers. While there may be drawbacks to perpetual endowments, spending down over a specific period also presents some challenges. For very large foundations, it can be difficult to spend huge sums by a fixed date, as the Atlantic fund found in its later years. Far from increasing the effectiveness of a donor’s philanthropy, this can lead to misallocation. For philanthropists who wish to focus on solving today’s problems, it may still make sense to have an open approach to a foundation’s time horizon instead of creating an imperative to spend down simply for the sake of hitting an arbitrary deadline. As some millionaires and billionaires have learned, making money can be far easier than giving it away.